A child I saw right before getting on the boat to go to the middle of the Nile. I forgot to snag a picture of Nicole before we left Lira, and I will be forever mad at myself because of that. 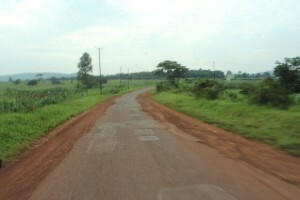 Since we’ve been in Lira, we’ve been staying in a hotel called the Farm View Country Resort. Nicknamed “The Haven Away From Home,” the grounds have many traditional straw and wood huts placed around the grounds, a huge western brick-built building (where we’re all staying) that caters to some of the western privileges we take advantage of back in the states (for example, warm water that comes out of a nozzle), and chickens and other animals galore that roam the premises on their own time. Overall, I was pretty skeptical about the place at first. For some reason, it reminded me of one of the home fortresses that Hitler would have done his strategic planning in during WWII. From experience, however, I can say that the Farm View Country Resort has stayed true to its name: a home away from home. The FVCR has been our club house for the past few days. No one else in staying in the hotel currently (something tells me not a lot of international guests come to the FVCR, let alone northern Uganda.) Besides us, however, there is a little girl named Nicole who calls this place home. 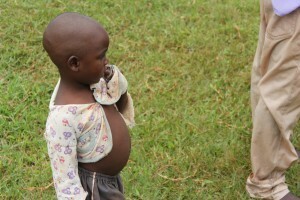 The Ugandan children are the most courteous children I’ve ever met: they wave to you with no promise that they are going to get a wave back, they hold your hand and walk with you to where you are going because they just want to be around you, and they even give you the food that they are eating (see Sara’s blog). In many respects, this two year old girl reminds me of an American child. Compared to what all other children are wearing, she is always dressed in bright colored out fits and bold printed dresses, her hair is professionally braided with pink and white beads designed into it, she constantly has a bottle filled with formula (or milk, both are equally expensive) in her hand (her family calls her chubby, not fat), and she loves to watch the Disney Channel with her grandmother. When I first met her days ago, I asked her what her name was and how she was… and her response? “WAAAAA!! !” (Running in the opposite direction.) And I thought I was good with kids. In many ways, she could be considered a spoiled brat. But I don’t consider her that way. She’s already been through so much that she can’t (and shouldn’t) understand. Nicole’s father died in a tragic car accident years ago. 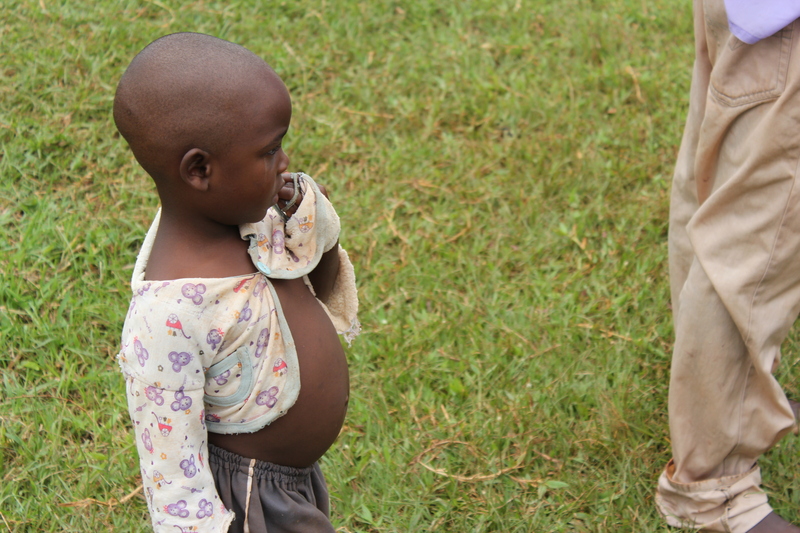 Her mother has never really been in her life since she was born, and currently lives in Kampala 6 hours away. From what I understand, she doesn’t talk to Nicole. Unfortunately, stories like this aren’t that uncommon. Regardless of her heartbreaking story, she’s still a hyper toddler that we all love (and sometimes hate). It makes me think where Nicole would have ended up after her parents absences if it weren’t for Florence and John. They are Nicole’s grandparents (on her father’s side) and the owners of the hotel we are staying in. After her father died, Florence and John took Nicole in as their own: clothing her, feeding her, washing her, and most importantly, loving her. But instead, she’s taking care of Nicole, because she loves her. So far, we’ve visited two schools: Ave Maria Vocational School in Lira, and Abia Primary School in Abia, a poor rural region an hour outside of Lira. In both schools, the children have welcomed us with open arms. They have sang and danced and played music for us. In some instances, they have even given us the clothes off their backs. Also, many of these children are orphaned, sick, or starving. Herbert says that maybe a third of the children at both schools are sick with either malaria or HIV. Maybe even both. It’s hard for me to imagine where Nicole would be if it wasn’t for her loving grandparents. Would she have landed in a school like Ave Maria? Or a slum like Abia? Or, worst yet, on the streets alone? Thank God Nicole is at our haven away from home with us.